Then heed my call and join our ranks! Become one with the shadows! Feast on the blood of the living and experience immortal life! Meet our Mother - Lamae Bal - pass her test and be proud of your new lineage as a vampire and Blood brother/sister of Blood Vortex! 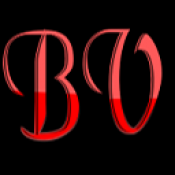 Blood Vortex is a friendly PvX, Social and Roleplaying vampire guild accepting all players of any level or faction! We host several daily and weekly events such as the popular "Feeding Spree", our Guild Lottery, PvP Tournaments, RP Meetups and more! We are also always willing to help anyone with leveling, crafting, farming or questing! Whether you are a vampire or looking to become one, you are most welcome in our guild! Contact me in-game (@Kreateer), on this post, our website (https://bloodvortex.enjin.com) or on our Discord (https://discord.gg/7b9m2EY) to join us! Latest news: we recently raided Stormhold and killed off all the random NPCs as we fed on them as part of our "Feeding spree"! Even those not part of our guild joined in as well! It was fun for everyone as we all ended up with 20k or more bounty while we fought off the guards! Be on the lookout for another event!